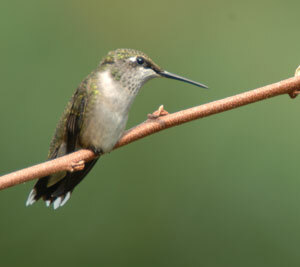 We often read in these pages about planting for wildlife habitat. But we might not often think about supporting the living “soil food web” that exists in the top few inches of soil. This biodiverse food web is the key to healthy soil that, in turn, provides many ecosystem services to humans — and to the rest of the ecosystem. The soil food web is driven by the primary producers, plants, which capture the sun’s energy and convert it to carbohydrates through photosynthesis. When leaves fall or plants die, they are decomposed by the primary consumers, fungi and bacteria. Nutrients and carbohydrates remain in the soil or in the microbes’ cells and are available in forms that plant roots can absorb. Certain soil bacteria perform the important job of converting atmospheric nitrogen into forms that plants (and the animals that eat them) can use. 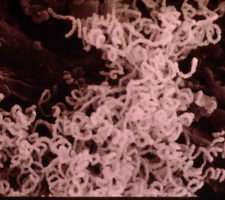 Another kind of bacteria, the Actinomycetes, have long filaments called hyphae and look more like fungi. They also help decompose organic matter and they give off that wonderful “earthy” smell of turned soil. Secondary consumers, such as protozoa, nematodes and arthropods, eat the fungi and bacteria. These secondary consumers in turn are eaten by many other organisms. At each level, nutrients and energy sources are released into the soil through excrement or the death of the organism. The end product of decomposition, called humus, is a complex, negatively charged substance that holds onto positively charged nutrients that plants need, such as calcium, magnesium and potassium. 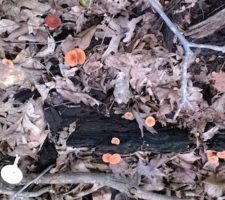 And then there is the symbiotic relationship between fungi and roots known as the mycorrhiza (from the Latin myco for fungi and the Greek rhiza for root). Both partners benefit from this relationship. The fungal partner gives the roots access to water and nutrients, especially phosphorus, that they could not reach otherwise. The root partner gives the fungi carbohydrates. 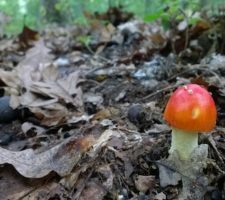 There is a huge mycorrhizal network under a forest, and scientists have discovered that trees send chemical signals to each other and even share nutrients through these networks. 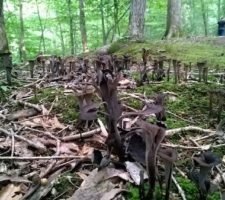 Some of these mycorrhizal relationships are as old as when plants first colonized land more than 400 million years ago. This is something to think about every time we remove vegetation or soil. It takes a long time to build the complex symbiotic relationships that drive ecosystems, and such a short time to sweep them away. The soil food network provides what we call “ecosystem services.” Some of these have already been mentioned: converting nitrogen from the atmosphere, decomposing dead plant matter and recycling nutrients that are also needed by the above-ground food webs. Soil organisms also build good soil structure by binding particles together into cookie-crumb-sized aggregates. Perhaps the most important ecosystem service that healthy soil performs is to capture and clean water. The movement of organisms like earthworms and ants through the soil creates pore spaces for air and water. Healthy soil should have 25% water and 25% air along with 45% mineral particles and 5% organic matter. 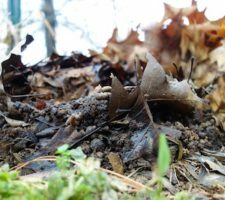 We want our soil to be like a sponge, able to absorb rainwater and let it infiltrate into the soil rather than running over the surface and carrying silt and pollutants into waterways and the Chesapeake Bay. When water infiltrates slowly, soil bacteria can actually break down pollutants such as pesticides and sequester the molecules from them. How can we support the amazing soil food web that performs these ecosystem services? The most important thing we can do is to feed the microbes by adding organic matter to the soil. Organic matter refers to anything that is or was alive. In nature, organic matter comes from falling leaves and dying plants. In our human-impacted landscapes, we need to add mulch or compost and leave our grass clippings and leaves in order to feed the soil food web. 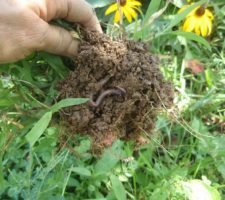 (If you add organic matter and it seems to disappear, that’s probably because earthworms are pulling pieces of it down into deeper levels of the soil. You can see an example of this by clicking here. Another reason to add organic matter is that it protects soil from being eroded away. Another important thing we can do is to avoid compaction. The result of forces bearing down on the soil, compaction pushes soil particles together so that there are fewer pore spaces for air and water. Avoiding compaction is one of the most important things we can do in our yards. Many things cause compaction, such as driving on the soil, especially when it is wet, and removing organic matter, which allows heavy rain and other impact forces to cause greater compaction. We should also avoid tilling. Plowing and rototilling break up the soil food web and destroy soil structure. Whenever gardeners need to kill existing vegetation, the recommended method is to cover it with mulch or cardboard instead of tilling. Finally, even letting grass in the lawn grow longer between mowings can be good for the soil food web. When we cut the grass short, the roots also stay very short. Plant roots create pore spaces for water to infiltrate more deeply, and whenever they die they too are decomposed by the microbes. It can take 500 years for nature to produce an inch of topsoil. Soil is crucial for wildlife and for human civilization. 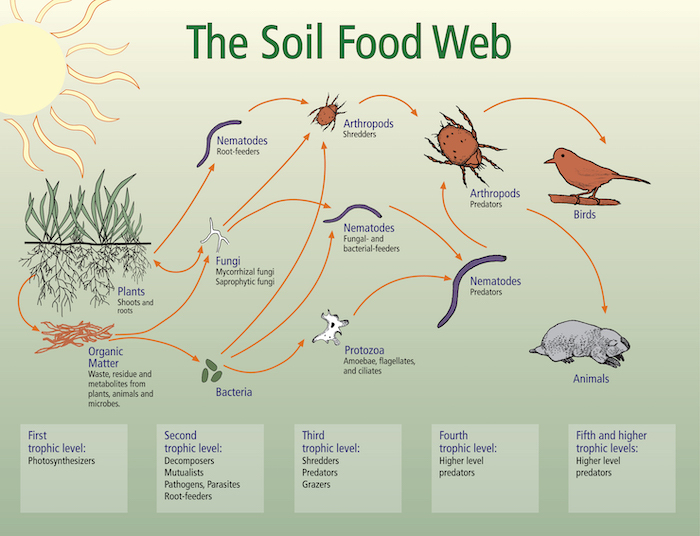 All of us need to do everything we can to protect and support the soil food web in our yards and gardens. 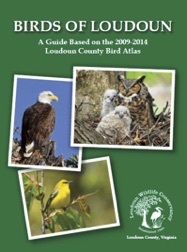 If you would like to find out more about the Audubon at Home program and providing habitat for wildlife on your own property, please contact Anne Owen at aowen@loudounwildlife.org. Jeff Lowenfels & Wayne Lewis, Teaming with Microbes: The Organic Gardener’s Guide to the Soil Food Web (Timber Press, 2010). James B. Nardi, Life in the Soil: A Guide for Naturalists and Gardeners (Univ. of Chicago Press, 2007).